It is fascinating to see what an incredible job this estate has done with the premium varietal of northwest Spain. This wine shows zesty grapefruit notes with a nutty mid-palate and salty minerality, and is wonderful with fine seafood or paella. Albariño has found another region to show off its fascinating varietal character. Wine of Marlborough, New Zealand. Nestled under the cool gaze of Mount Tapuae-O-Uenuku (from Maori it poetically translates as the 'Footprint of the Rainbow') we planted our boutique vineyard in the Awatere Valley, a premium sub-region of Marlborough. With a passion for quality, viticulture and the environment, we aim, by careful nurturing and by using only sustainable techniques, to produce grapes of excellence. Albariño is widely planted in North West Spain, and increasingly sought after. 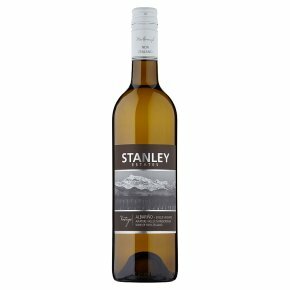 An aromatic, medium-dry wine, fresh with hints of lime and grapefruit, layers of green apples and nectarines. Serve lightly chilled.